The original documents, especially the manuscripts, are always not clear enough to read. 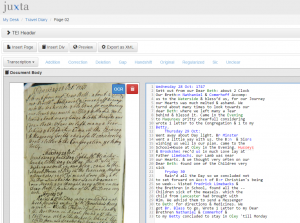 Therefore, in order to make the documents easier to read, we use Juxta edition to transcribe the original manuscripts. An advantage of Juxta edition is that it puts the digital images on one side and its transcription on the other side. 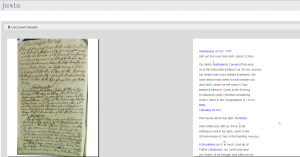 Such design enables us to compare the original document with the transcribed one, which makes the transcription work easier and causes less mistakes. The small number in front of each line indicates the line number, which prevents us from making the mistake of putting different lines into one line or splitting one line into different lines. 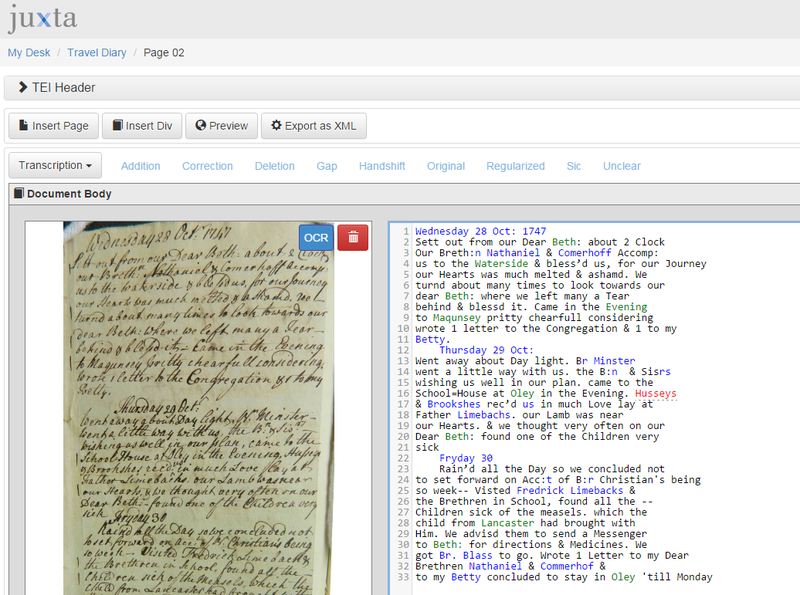 Another advantage of Juxta edition is that it can tag person, place and time, which simply categorize different subjects of the documents. Juxta editions also makes the process of creating a diplomatic digital edition easier. The files could be easily exported to XML and further tagging process can be done.